We didn't win GOLD - but we improved our performance from last year. We added a couple key players to our team which helped, but we now have some areas of focus to strengthen to at least make the podium next year! Our team really knows how to put the ugly in ugly sweater! 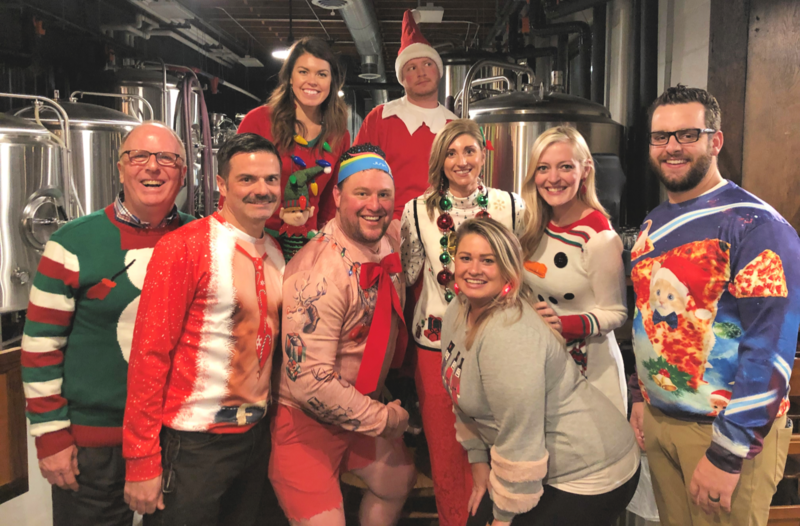 This year, we really stepped up our game by showcasing some pretty creative outfits for our Ugly Sweater Extravaganza. We took our show on the road and visited our newest Duluth brewery, URSA MINOR BREWING, and enjoyed time with co-workers and friends. Can’t wait to see what next year brings! 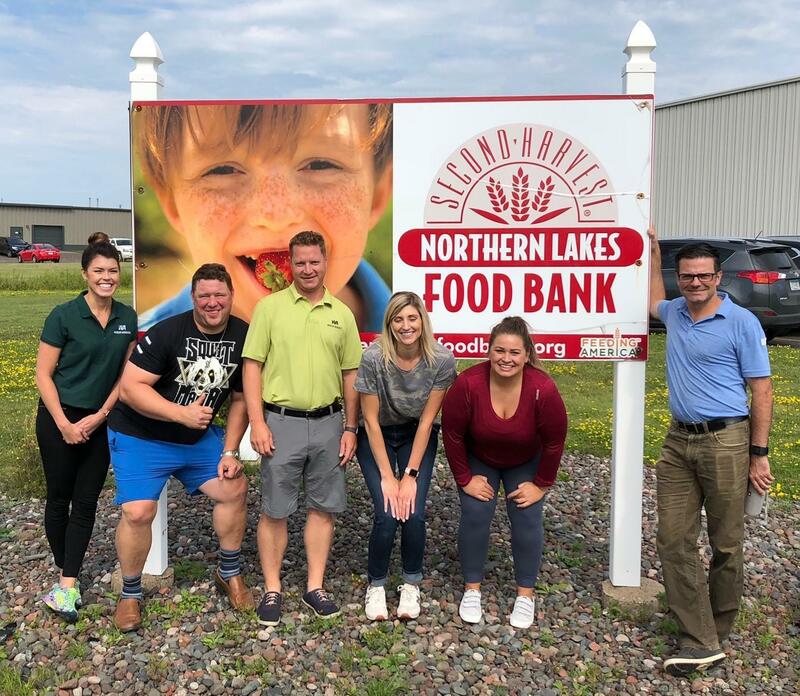 In August, our team spent the morning up at the Second Harvest Northern Lakes Food Bank helping them pack and label some of their canned goods that go out to their partner organizations. 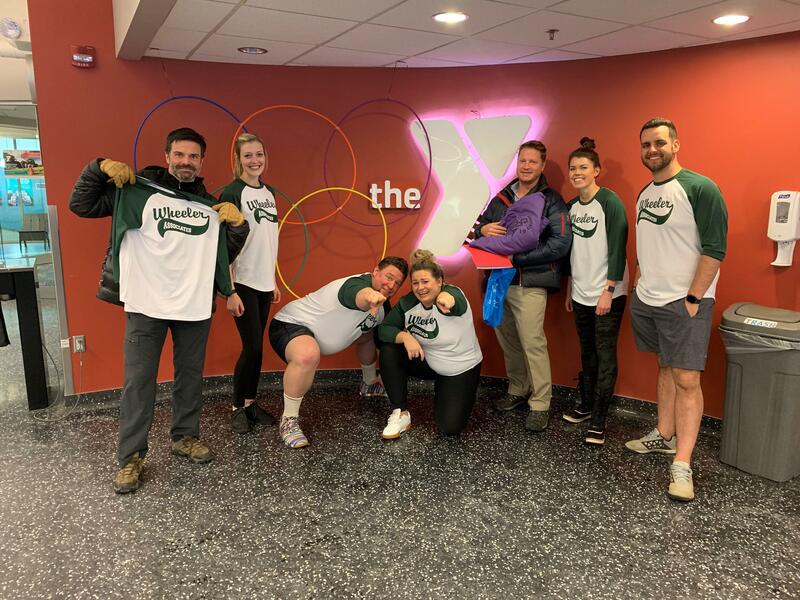 We are always looking for ways that we can make a difference in the community that we live, work and play in and this was a great opportunity to support an important non-profit that is impacting individuals throughout our region. The best part is we had a blast doing it! 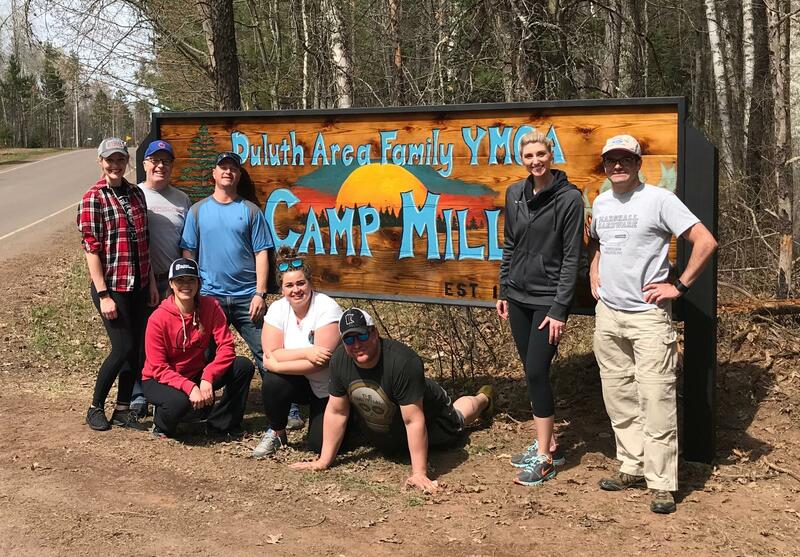 The Wheeler Associates team spent a BEAUTIFUL spring day getting the Duluth Area Family YMCA Camp Miller ready for campers this summer. The day was filled with raking, staining, sweeping and putting up this awesome new sign marking the entrance to the camp. 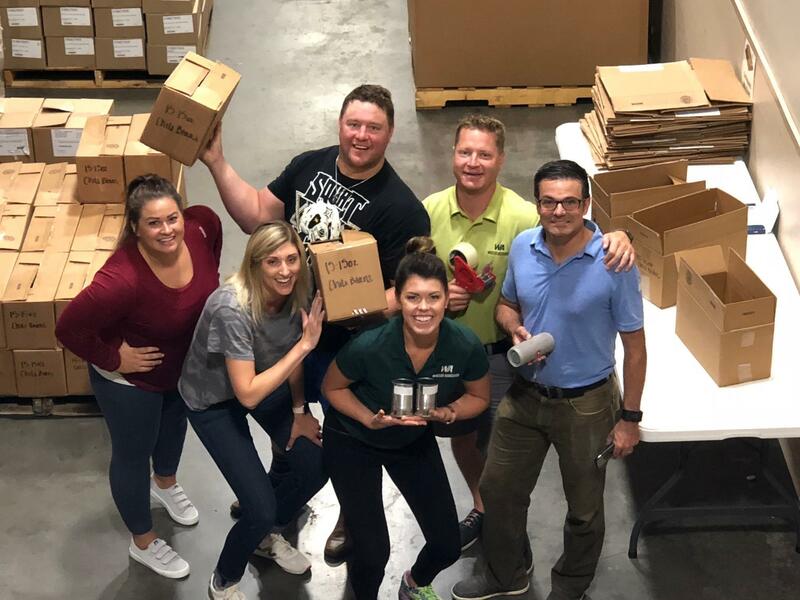 Each year, our team along with some of our carrier partners, volunteer for the day as a way to give back to an organization that has been a huge part of many of our lives. I think we only had a total of 4 ticks this year, so we will count that as a success! 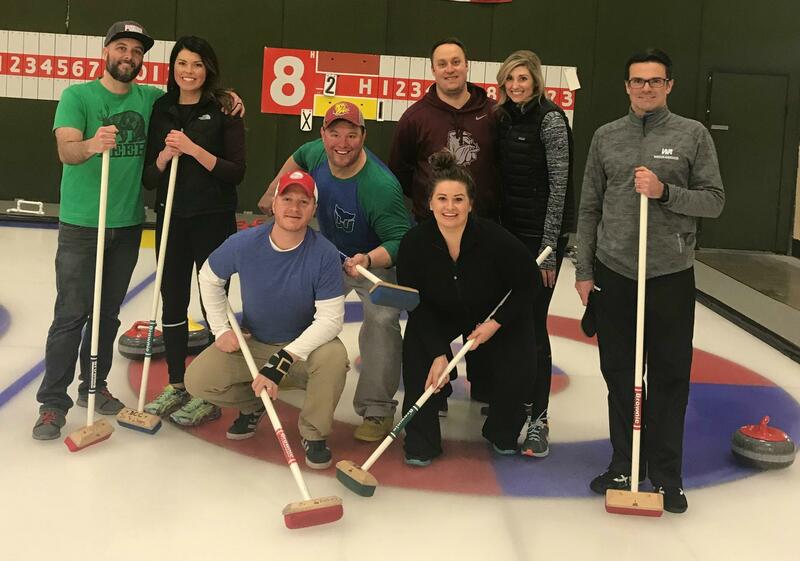 Inspired by the recent Gold Medal Olympic victory of the USA Men's Curling Team, the Wheeler team was eager to test our balance and coordination at the Duluth Curling Club. We had an AWESOME coach, Kathy, who got us up to speed on the rules and strategy. Once we were up and running, the crew showcased some impressive sweeping, gliding...and the occasional slipping. The match ended in a tie, so there will definitely be a rematch in the near future! 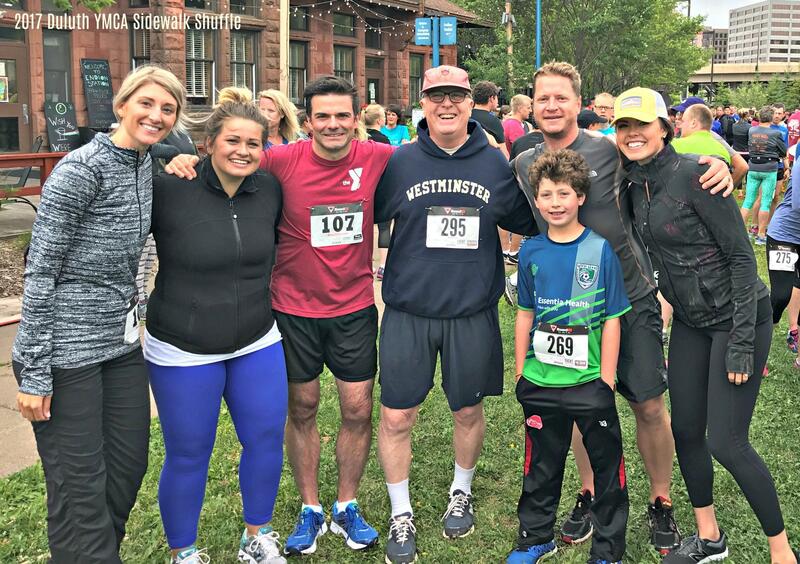 Each year, the team at Wheeler Associates supports the Duluth YMCA Side Walk Shuffle, which is a 5k walk/run held down at the lakewalk along the shores of Lake Superior. The event is held mid-summer and you never know what type of weather you will be racing in. This year, it was a particularly cold and blustery day in Canal Park, and at one point the waves were so big they splashed up onto the Lakewalk as we ran/walked by. 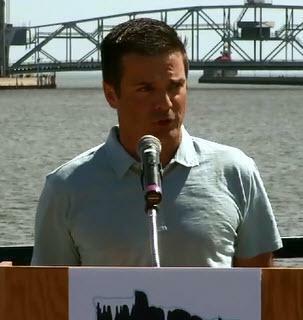 It is a fantastic event that we look forward to each and every year! Our very own Pat Heffernan and other members of Hockey Day in Minnesota 2016 were the special guests at the Minnesota Wild Hockey game on Sunday, January 10th where they had the opportunity to make the official LET'S PLAY HOCKEY announcement! On February 6, 2016, Wells Fargo Hockey Day Minnesota will head north to Duluth’s Bayfront Park along the shore of Lake Superior. Proceeds from the event will benefit Duluth area youth hockey programs. The year 2016 will make a decade of Hockey Day Minnesota celebrations. Our very own Pat Heffernan is on the local organizing committee for the event and will be playing a critical role in the success of this event. Hockey Day Minnesota originated in 2007 by the Minnesota Wild to celebrate the game that has made Minnesota the State of Hockey. It is produced in partnership with FOX Sports North, Minnesota Hockey and the respective local community that serves as host each year. Previous locations include Baudette Bay (2007, 2008), Phalen Park (2009), Hermantown (2010), Moorhead (2011), Minnetonka (2012), Grand Rapids (2013), Elk River (2014) and Saint Paul (2015). For more information, visit Hockey Day Minnesota. 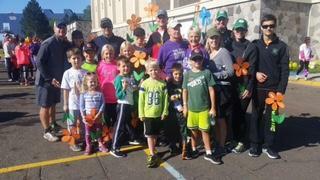 Andy and Pat, along with their families, took part in the annual Walk to End Alzheimer's over the weekend along the shores of Lake Superior. The Alzheimer's Association Walk to End Alzheimer's® is the world's largest event to raise awareness and funds for Alzheimer's care, support, and research. Held annually in more than 600 communities nationwide, this inspiring event calls on participants of all ages and abilities to reclaim the future for millions. Together, we can end Alzheimer's disease, the nation's sixth-leading cause of death. 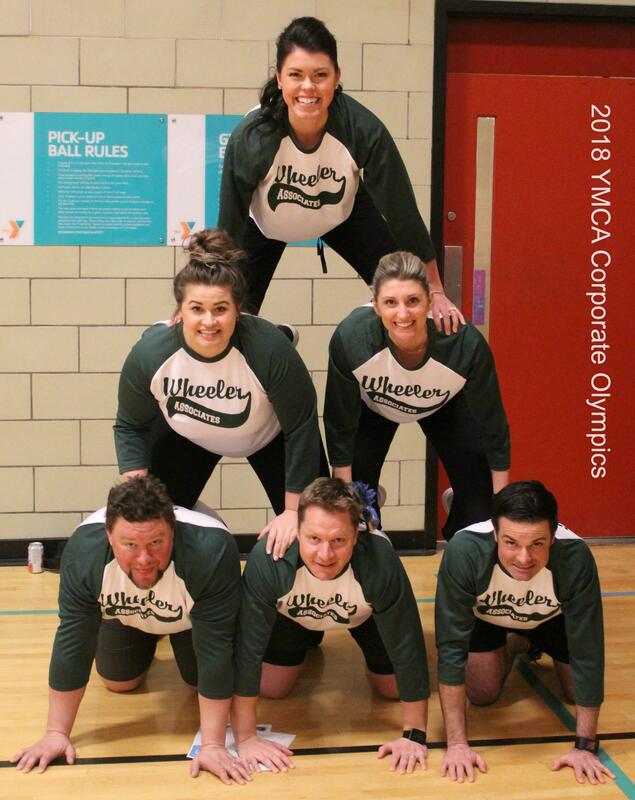 The 2018 Duluth YMCA Corporate Olympics proved to be a challenging series of events for the Wheeler Associates team, who finished in the last place out of 12 teams. The picture above was the best display of our athleticism from the entire day. During this event, we tried our luck in sack races, tug of war, log rolling, tricky trivia, rock climbing, an obstacle course, bean bag toss, and lawn darts. We have already started honing our skills for next year's event in hopes of placing on the podium. Another year, another shuffle. 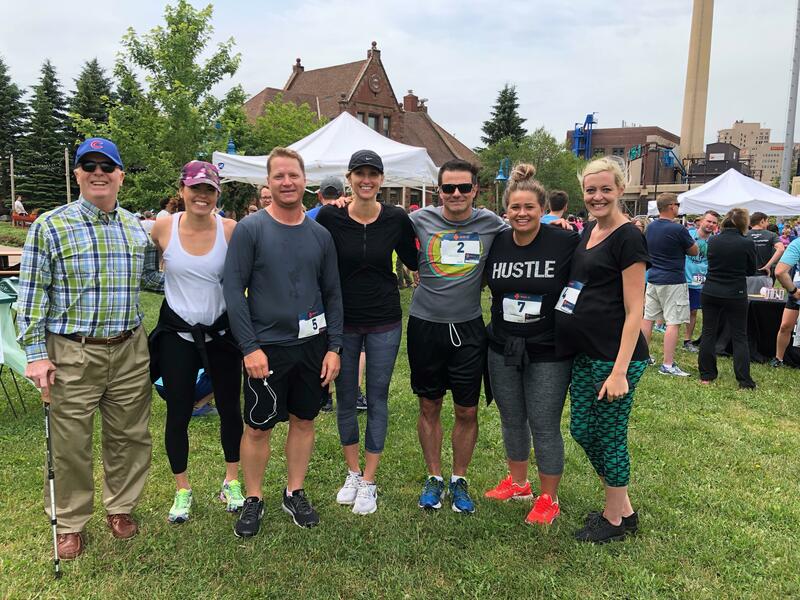 The Wheeler Associates Team supported the Duluth YMCA by participating in their annual Sidewalk Shuffle which is part of the Downtown Duluth Sidewalk Days. It was a perfect day for a shuffle and we love being a part of the energy that this event brings each year! 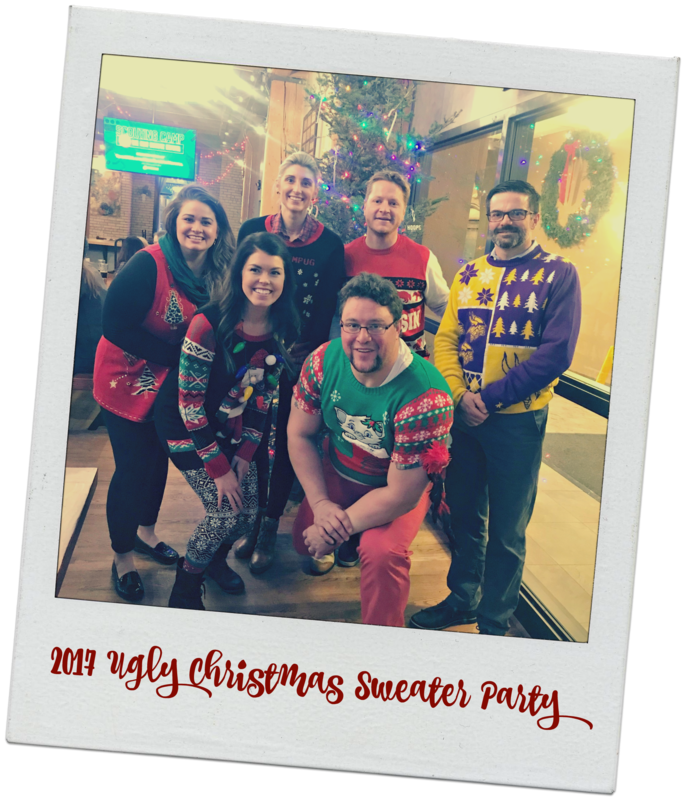 Wheeler Associates rang in the holiday season with an epic UGLY CHRISTMAS SWEATER CONTEST. Ryan, (front and center with poor size choice cat sweater) took home the grand prize. Due to the competitive nature of our team, we brought in the team at Momentiv to ensure fair results. 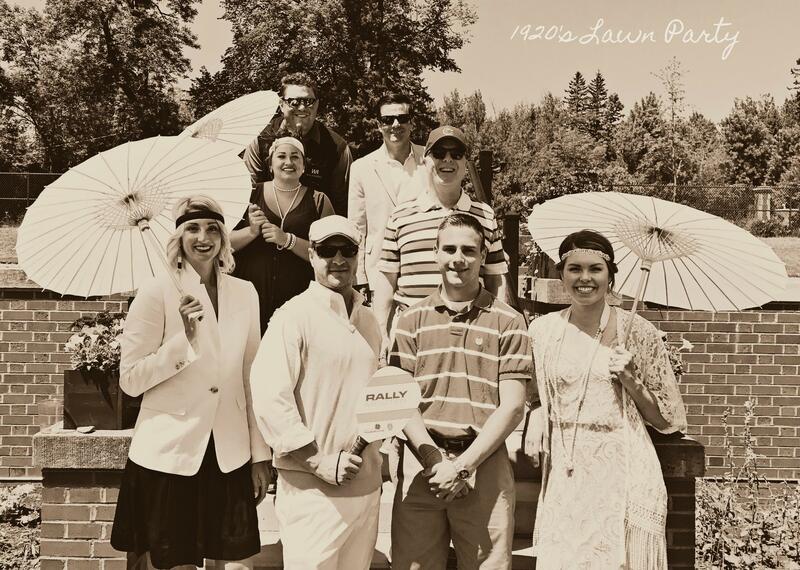 On a picture-perfect day in June, the Wheeler Associates team spent the day hosting a 1920s-inspired Lawn Party on the grounds of Glensheen Historic Estate. 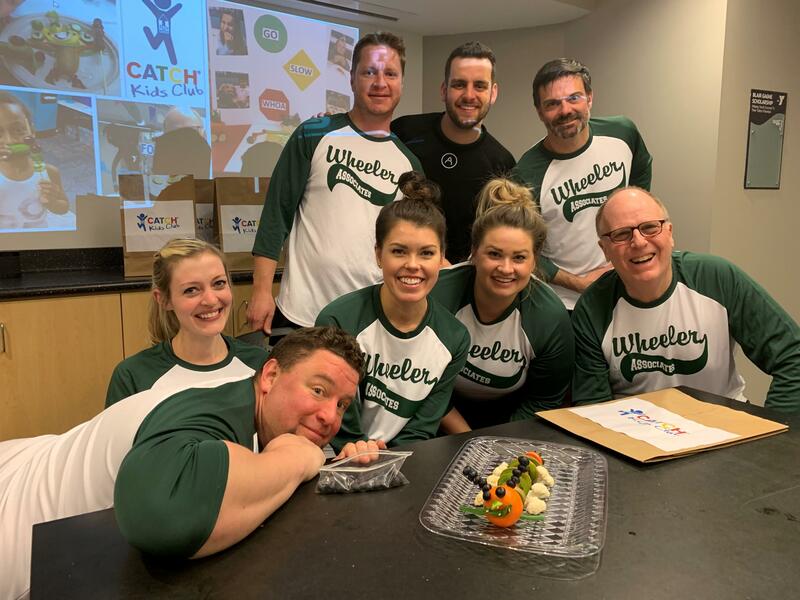 The event was complete with croquet, pickleball on the clay tennis court, and of course, delicious food catered by Blackwoods. Throughout 2017, Andy Wheeler will spend eight days at the Commonwealth's Business Coaching Program—Power in Practice. This program is designed to provide the infrastructure, guidance, and tactical steps to enhance clients' experience with Wheeler Associates, along with learning best practices and tactics for successfully implementing goals within our organization. The photo below was from their recent meeting in Chicago, Illinois. We officially kicked off the holiday season with our 1st Annual “Build-a-Bear Wheeler Cheer” event. 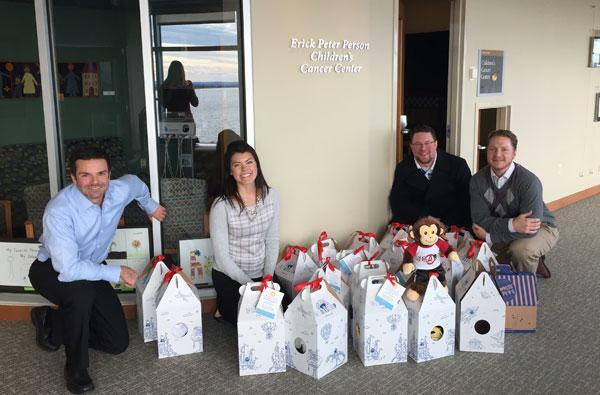 The children and grandchildren of a few of our clients took part in the event where they were asked to build a bear for themselves that they could keep, but more importantly build a bear for a child that was being treated in the Erick Peter Persons Children’s Cancer Center at Essentia Health-Duluth. It was a day to remember especially when our team brought the completed bears to the children on the week of Thanksgiving. We are so thankful for the wonderful partnerships we’ve built in our community! 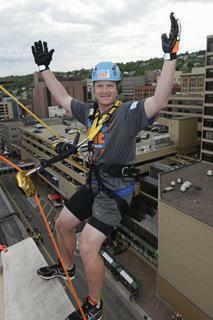 On July 9, Andy Wheeler was part of a group of local individuals who raised $1,000 to rappel down the nine-story Sellwood Building in downtown Duluth. Donations this year built up the zero-interest loan fund to help small business owners in downtown Duluth invest in refreshed storefronts and helped to support the youth programs at the Duluth YMCA.